So when I restart my phone, and go into for instance safari and use the auto fill option within safari which prompts 1password. Because I haven’t use 1password yet, it will ask me to input the master password. However, it keep asking me the master password every consecutive use until I open 1password app itself and input it there, then every consecutive use (in a app or 1password) will then provide thee much more easier Touch ID as authentication. Is this a security feature or a limitation or ...? 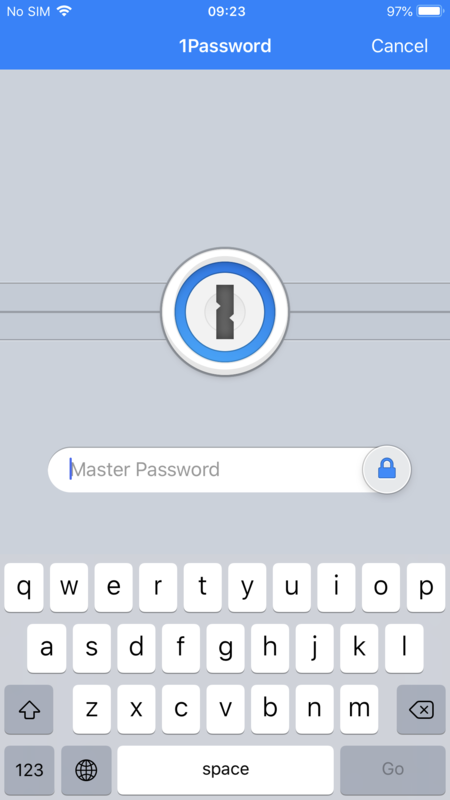 When you tried to open 1Password in Autofill, it defaults to Master Password, but there should have been a TouchID button right below the Master Password field. If you press that it should prompt for TouchID. The next time you restart your phone, give that a try, and let us know it goes. Same problem, but with the new 2018 ipad pro. There is no touch id button, or face id action to reopen 1 password so the master password has to be entered for every new login. Frustrating. Ah! the 1Password app has to be running and signed in and then face id pops to confirm the login on other site logins. ... and in Settings in the app, Face ID must switched on. Found under under Security. Well, there is no Touch ID at all. What @brian67 says is a different issue than mine. I made screenshots to explain. You can see the screen I get when I tried to log in into this forum. Until here it goes as desire. This issue has been happening already for months, not sure whether that was there before that. Also, to remedy the issue, I need to pen 1password directly and fill in the master password there, THEN any subsequent autofill within safari for example will only request Touch ID. Could you not try this on a similar setup? Hm.. @ag_kevin . I wrote a while post and edited afterwards, it seems to be gone. Hm.. will rewrite, hopefully it doesn’t appear double. A) I don’t have any issues with Touch ID on 1password. 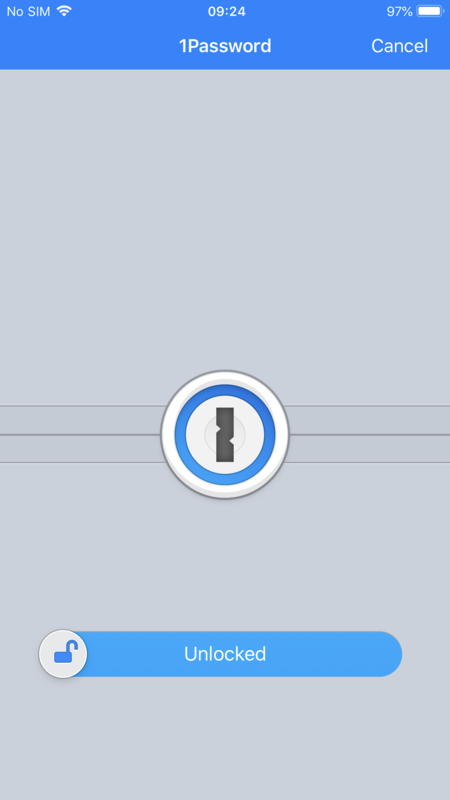 Whenever I open the 1password, after singing in once with the master password it never fails to request Touch ID. It works as advertised, been using this for years now. 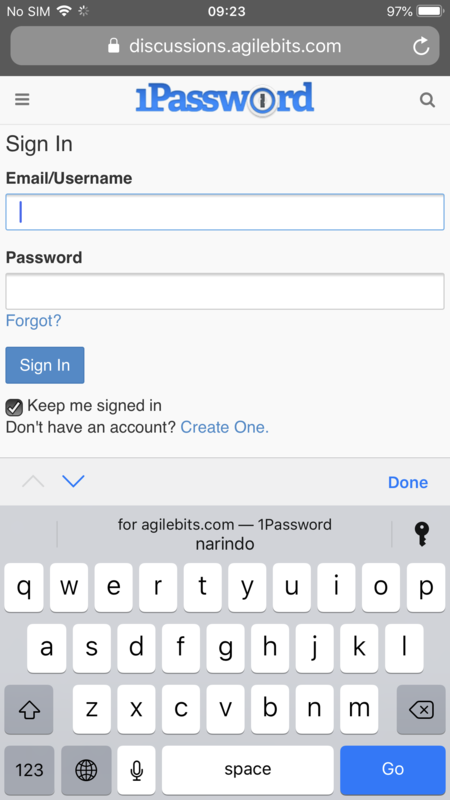 the issue is when you do not use the 1password app to fill in the master password, but through autofill (example using safari). It will always ask for there master password and doesn’t offer you Touch ID until I do above in A (open the app directly). So it request the master password again without enabling Touch ID. The only remedy I found was to go to 1password app directly and fill in the master password again, then the autofill will also offer Touch ID as the first option. This is the question I have. Hope you can check for me! Yes, that seems to be working as designed. Yes, also correct (or in the case of Touch ID enabled devices, Touch ID must be enabled). Yes, you have to unlock the main 1Password app once using the Master Password in order to enable Touch ID / Face ID. I will check with the development team to see if there is any way with the Password AutoFill framework that we can improve this, but it does sound like it is working as intended at the moment. @ben thanks. Hope it is dineer possible Some time the future to unlock already with autofill!